We watched the movie Bob Roberts last night. Netflix’s review calls the movie “goofy.” Wrong word. This fictional candidate for US Senate from Pennsylvania had today’s neo-fascist (self-described neo-con or neoconservative) political style and message down pat in the 1994 movie. the constant belligerence, hate-language and coded racism delivered with a smile. It’s all there. The themes, the style, the immorality (“whatever it takes”), the all-dominating power- and money-lust were entirely apparent to these movie-makers in ’93 and ’94. It was apparent to many of the rest of us too, remember? And now, like the frog in the kettle that one of the characters describes, we are in much hotter water. It’s all still here, now blossoming all around us. Now it runs not only the House – now it wins not only Senate elections – now it has been running the country, ruining the economy, and disruptiing the whole world for 6 years. Christians of America – do we think the Bible we read is from a God who does not see such things? 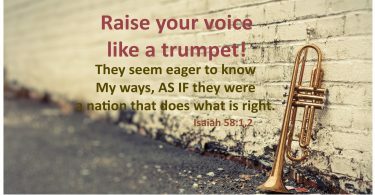 As God said through Zechariah, “When I called, they did not listen; therefore when they called I would not listen.” Or, as Martin Luther King said, “The arc of the universe bends toward justice.” These moral obligations will come due. Most Christians “say” they believe the Bible, but our actions show we do not really believe it. If we did, we would be acting a lot differently.